The Somapura Mahavihara is the oldest Buddhist institution in Bangladesh. It is said that Buddha once in his life came to this region East Bengal to spread Buddhism and he was successful to convert the local people of East Bengal to Buddhism. Buddhism is now the third largest religion in Bangladesh with about 2% of population adhering to Theravada Buddhism. Over 65% of the Buddhist population is concentrated in the Chittagong Hill Tracts region, where Buddhism the predominant faith of the Chakma, Marma, Tanchangya, other Jumma people and the Barua, while the remaining 35% of the population are from the Bengali Buddhist community. Buddhist communities are present in the urban centers of Bangladesh, particularly Chittagong and Dhaka. As of 2014, followers of Buddhism are mainly people of Baruas living in Chittagong city, the business city of Bangladesh and indigenous Arakanese descent living in the sub-tropical Chittagong Hill Tracts. People who follow Buddhism in Bangladesh belong to the Barua people in majority with the percentage of 65% among the 0.07% population of Bangladesh, Chakma, Chak, Marma, Tanchangya and the Khyang, who had been since time immemorial have practiced Buddhism. Other tribes, notably those who practice Animism, have come under some Buddhist influence, and this is true in the case of the Khumi and the Mru, and to a lesser extent on the other tribes. Legend said that Gautama Buddha came to the region to spread Buddhism, and it was speculated that one or two individuals became monks to follow in his footsteps. However, Buddhism did not gain much support until the reign of Asoka when Buddhism gained a toehold. The Pala Empire that controlled the Indian subcontinent spread many Buddhist ideologies in modern Bangladesh and built many monasteries such as the Mahasthangarh and the Somapura Mahavihara. 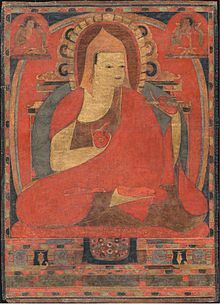 During the Pala Dynasty, a famous teacher named Atisha was born in the city of Bikrampur and spread Mahayana Buddhism. Chandra Dynasty's Puranchandra and Subarnachandra adopted Buddhism, as did their successors Trailokyachandra and Srichandra who ruled Harikel and Chandradwip (Barisal). The Khadga Dynasty was a Buddhist dynasty of kings that carried the surname Bhatt. They made several temples and monasteries. King Rajabhata was for example a very committed Mahayanist Buddhist. Buddhism in various forms appears to have been prevalent at the time of the Turkish conquest in 1202. The invading armies apparently found numerous monasteries, which they destroyed. With the destruction of centers of Buddhist learning, such as Nalanda University, Buddhism rapidly disintegrated. In subsequent centuries and up through the 1980s nearly all the remaining Buddhists lived in the region around Chittagong, which had not been entirely conquered until the time of the British Raj (1858–1947). During the 19th century, a revival movement developed that led to the development of two orders of Theravada monks, the Sangharaj Nikaya and the Mahasthabir Nikaya. In the Chittagong Hills, Buddhist tribes formed the majority of the population, and their religion appeared to be a mixture of tribal beliefs and Buddhist doctrines. According to the 1981 census, there were approximately 538,000 Buddhists in Bangladesh, representing less than 1 percent of the population. Somapura Mahavihara in Naogaon, Rajshahi Division. Sitakot Vihara in Nawabganj, Rangpur Division. Bhitagarh in Panchagarh District, Rangpur Division. Bikrampur Vihara in Bikrampur, Dhaka Division. Wari-Bateshwar ruins in Narsingdi, Dhaka Division. Atisha is one of the ancient priests from the Pala dynasty who is followed within the Bangladeshi Buddhist sects. There are several monasteries in the Chittagong, and in most Buddhist villages there is a school (kyong) where boys live and learn to read Bengali (national language) and some Pali (an ancient Buddhist scriptural language). It is common for men who have finished their schooling to return at regular intervals for periods of residence in the school. The local Buddhist shrine is often an important center of village life. Buddhism outside the monastic retreats has absorbed and adapted indigenous popular creeds and beliefs of the regions to which it has spread. In most areas religious ritual focuses on the image of the Buddha, and the major festivals observed by Buddhists in Bangladesh commemorate the important events of his life. Although doctrinal Buddhism rejects the worship of gods and preserves the memory of the Buddha as an enlightened man, popular Buddhism contains a pantheon of gods and lesser deities headed by the Buddha. The Ministry of Religious Affairs provides assistance for the maintenance of Buddhist places of worship and relics. The ancient monasteries at Paharpur (in Rajshahi Region) and Mainamati (in Comilla Region), dating from the seventh to ninth century A.D., are considered unique for their size and setting and are maintained as state-protected monuments. Dipankara Srijan, president of the Chittagong Buddhist Association, as leader of a delegation at the 6th buddhist council in Rangoon. Dilip Barua (Communist Party of Bangladesh (Marxist–Leninist) (Barua)). Currently Minister of Industries. ^ "Bangladesh : AT A GLANCE". Archived from the original on 6 July 2011. Retrieved 27 February 2015. ^ "Bangladesh - Amar Desh Online - আমারদেশ অনলাইন". Retrieved 27 February 2015. This article incorporates public domain material from the Library of Congress document: "Bangladesh: A country study". Federal Research Division. Buddhism. ^ "Caryagiti". Retrieved 27 February 2015. ^ "Jewel in the Crown: Bengal's Buddhist Revival in the 19th and 20th Centuries". ^ Jahangir, Apurba (6 March 2016). "A Free Spirit". The Daily Star. Retrieved 25 January 2016.